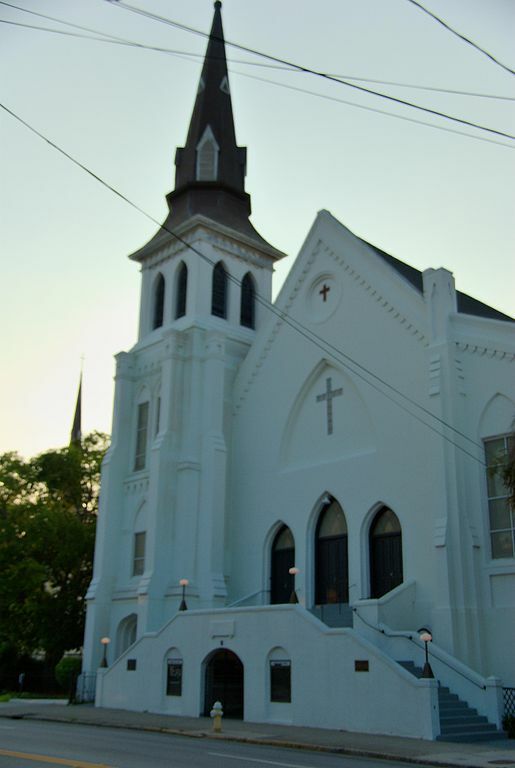 Emanuel AME Church is the oldest AME church in the south and the second oldest in the world. Today, June 21, 2015, our church stood silently while the names of those killed at Emanuel AME Church in Charleston, SC this past week were read. As the names were read, the pipe organ chimed for each person whose life was cut short during a Bible study in a church where they should have been safe. The sermon I preached this morning was about David and Goliath, taken from 1 Samuel 17. But, I lamented the fascination we have with violence, and called us to a new day of hope because as David said, “All those gathered here will know that it is not by sword or spear that the Lord saves; for the battle is the Lord’s…” 1 Samuel 17:47 NIV. Here’s the podcast of that message about how, even in the midst of tragedy, the families of those killed showed the world there is a God. 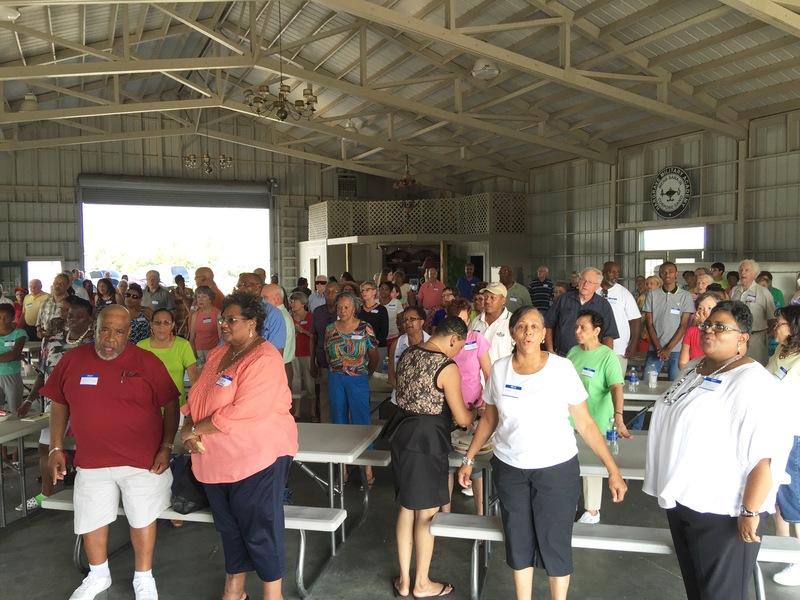 I have read lots of articles on church outreach in my thirty years of ministry. I’ve even written a few myself. However, I have never read an article on the ethics of outreach. Maybe it’s time for a look at the ethics of outreach. Here’s why. In Hibbing, Minnesota, according to the KSMP-TV, the local Fox affiliate, a Muslim woman who had registered for a September 28 conference was asked to leave when she showed up for the meeting wearing a hijab. Previously the women’s conference advertising had stated, “All women are invited,” according to the station. 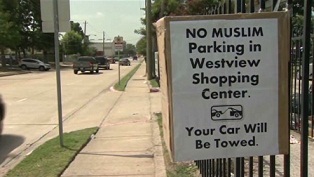 Ironically, the event organizers were People of the Book Ministries, a Christian outreach ministry to Muslims. Cynthia Khan, presenter for the conference, said that videos and material “offensive” to Muslims would be distributed. For that reason Khan asked that Rania Elsweisy, the hijab-wearing Muslim woman, be escorted from the conference. As a result of Ms. Elsweisy’s ejection, the Minnesota chapter of the Council on American-Islamic Relations filed a discrimination lawsuit against People of the Book Ministries. “The only reason I was kicked out of the event was because of my religion, Islam,” said Elsweisy. “It is truly hurtful to be treated like you are lesser than somebody or that you don’t qualify to be talked to and treated equally as others,” according to the station’s website. While the public discrimination suit will be worked out in civil courts, there is something ironic about a Christian ministry ejecting a member of the very group they claim to be trying to reach. While I do not question the intentions of People of the Book, I do take issue with the ethics, or lack of ethics, involved here. Add to this incident a Texas megachurch that offered cars, flat-screen TVs, bikes, and other prizes for attending church on Easter, and my conclusion is that Christians do have an ethical problem with some forms of outreach. 1. Outreach must be open and transparent to all, including those being reached. In the Minnesota example, presenters knew that their material was offensive to Muslims, and probably for self-evident reasons, did not want Muslims present. However, Christians must ask themselves if our attitudes, strategies, and materials aimed toward those we are trying to reach are hostile, demeaning, or degrading, should we use them at all. Lottie Moon, a Southern Baptist missionary to China in the late 19th and early 20th centuries lobbied to have the label “heathen” dropped when referring to the Chinese people she ministered to. 2. Outreach must exhibit a genuine love and respect for individuals and their cultures. Demonizing the “other,” especially in the fraught relationships between the Muslim and Western worlds, may be an effective fundraising technique but is a poor strategy for loving neighbors who may not be like us. Jesus used the “other” — a Samaritan — as example of neighborliness in his parable we call the Good Samaritan. That’s quite a difference from presenting material that is known to be offensive to another culture. 3. Outreach must be grounded in the Deuteronomic command to “love God” and to “love your neighbor.” Jesus taught that these two commandments summarized all the Law and the Prophets. In other words, all we need to know and practice as followers of Jesus is love for God and love for others. 4. Outreach ends do not justify unscrupulous means. Evangelism methodologies continue to struggle with the idea that Christians must do “whatever it takes” to reach the world for Christ. However, the means we use to reach the world must be consistent with the message we present to the world. Christians cannot trick, deceive, misrepresent or mislead others into the Kingdom of God. Neither can we buy the attention of non-Christians through games of chance, lucky numbers, or attendance incentives. Jesus fed people, but he fed them after they listened all day, not to get them to listen. 5. Finally, although this is the first ethical principle, outreach must be modeled on the Trinitarian action of God the Father, Son, and Holy Spirit. The theology of the Triune God must inform our purpose, our practice, and our presence to those who do not know the good news of God. Trinitarian outreach is characterized by love, self-giving, incarnation, sacrifice, humility, patience, winsomeness, and hospitality. Pastors and church leaders are assailed weekly with the news that church attendance is declining, baptisms are at all-time lows, and young adults are leaving the church in droves. That news, distressing as it may be, cannot become the pretext for desperate and unethical outreach strategies that discredit the Gospel and further damage the reputation of the Church of Jesus Christ. In John 21:15-19, Jesus asks Peter three times, “Do you love me?” Most Bible scholars agree that Jesus is giving Peter the opportunity to atone for his betrayal of Jesus during Jesus’ arrest. But what does this mean for us today? How do we know if we love Jesus? In this passage we find the simple evidence of our love for Jesus. During these Sundays between Easter and Pentecost, I am departing from the revised common lectionary to explore several of the post-resurrection appearances of Jesus. Here’s the link to the podcast, If You Love Jesus.